The steps needed to find a Hermetic Seal and escape from the starter planet in No Man's Sky NEXT. If you’re just getting started in No Man’s Sky NEXT, you may be wondering how to get a Hermetic Seal and leave the game’s starting planet area. In fact, this is one of the most common questions new No Man’s Sky NEXT players have. To help you out, we’ve put together a quick guide on how to get a Hermetic Seal in No Man’s Sky NEXT! There are a few different ways you can get a Hermetic Seal in No Man's Sky NEXT. In No Man’s Sky NEXT, leaving the starter planet can be a complicated process as you’ll need to first get your hands on a Hermetic Seal. There are a couple ways in which you can get a Hermetic Seal in No Man’s Sky NEXT. First, try and repair most of your starship, then board it when the last item needed is a Hermetic Seal. While inside your starship, inspect the Pulse Engine. The game will then prompt you to locate and use a Distress Beacon. By inspecting the Distress Beacon and taking the Navigational Data module, you’ll be able to build yourself a Signal Booster which can be used to locate a Hermetic Seal. To build a Signal Booster in No Man’s Sky NEXT, you’ll need a blueprint, 50 Iron, and 25 Plutonium. 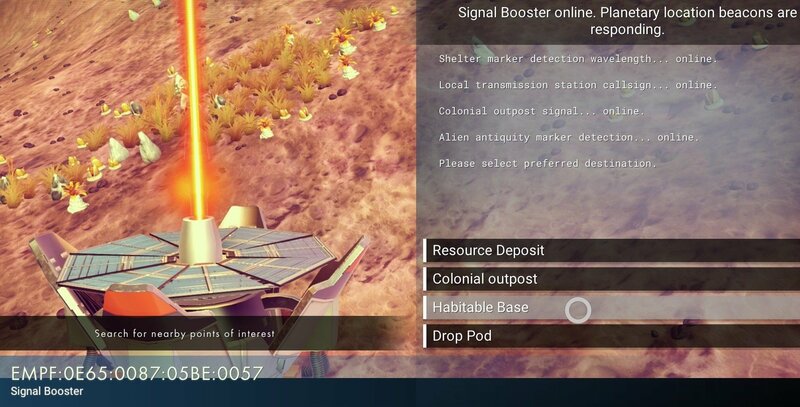 Once you’ve crafted your Signal Booster, give it the task of “Find a Nearby Structure.” In doing so, the Signal Booster will give you coordinates to explore. Explore these areas and eventually you’ll be sent to an area with a Hermetic Seal, or with a Technology Vendor offering Hermetic Seals. You can get a Hermetic Seal in No Man's Sky NEXT by building a Signal Booster and using it to explore nearby locations. Note that if you see a message stating that a Hermetic Seal cannot be obtained because the mission target is located in another system, this is simply a bug, and you should still be able to get a Hermetic Seal. Other ways to get a Hermetic Seal include buying them from Technology Merchants, or crafting one using 30 Condensed Carbon. Depending on your starter planet, Carbon and Condensed Carbon can be scavenged by breaking down plants on the planet’s surface. 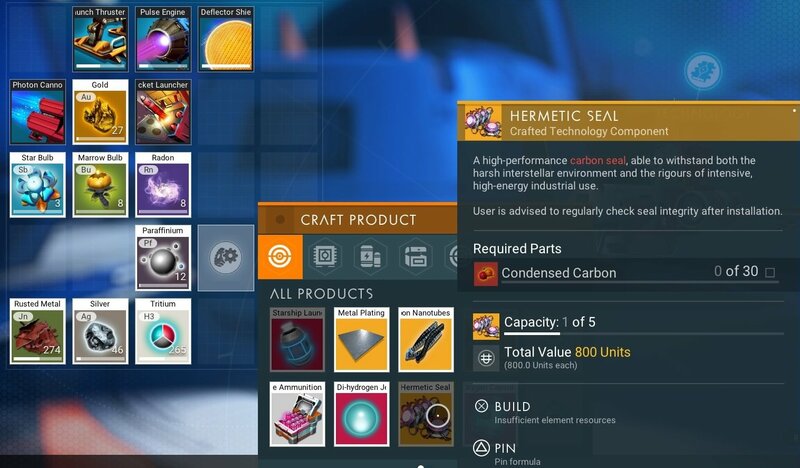 To craft a Hermetic Seal using Condensed Carbon, open your inventory, hover over an empty space, then select the space to “Craft Product.” By utilizing one of the suggestions above, you should be able to get a Hermetic Seal in No Man’s Sky NEXT and use it to leave your starter planet. For more on No Man’s Sky NEXT, be sure to check out some of our other guides including how to build and use a Portable Refiner in No Man’s Sky NEXT, how to join up with other players in No Man’s Sky NEXT, and how to switch from first-person to third-person perspective in No Man’s Sky NEXT. By reading through this guide, you should now know how to get a Hermetic Seal in No Man’s Sky NEXT.